The 200 delivers striking styling, classy interior trimmings, and refined driving manners at very competitive prices. Rear-seat- and trunk room are a bit stingy for the class, and the 4-cylinder engine isn’t quite as smooth as some competitors. V6 models offer all-wheel drive, and the sporty S model has a sport-tuned suspension that gives it crisper handling. 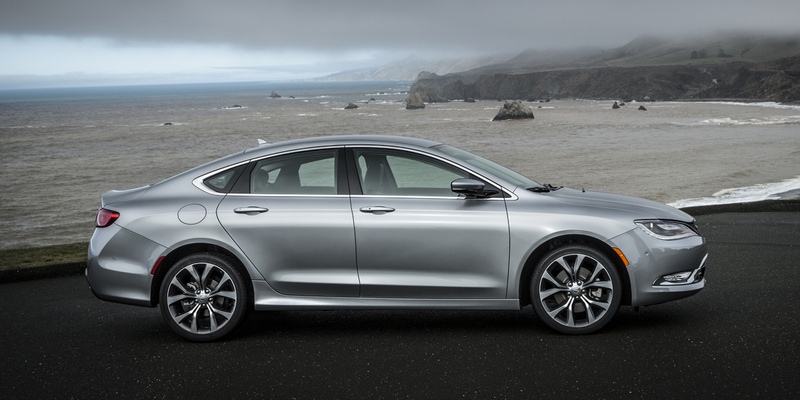 sedan, and it’s all new for 2015. 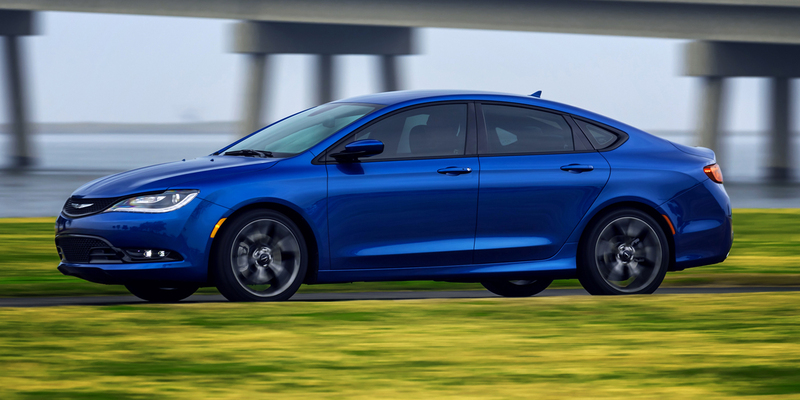 The previous 200 was essentially an enhanced and renamed version of the uninspiring Chrysler Sebring, but the 2015 Chrysler 200 rides an all-new platform that is an enlarged version of the basic design used by the Dodge Dart and Jeep Cherokee. 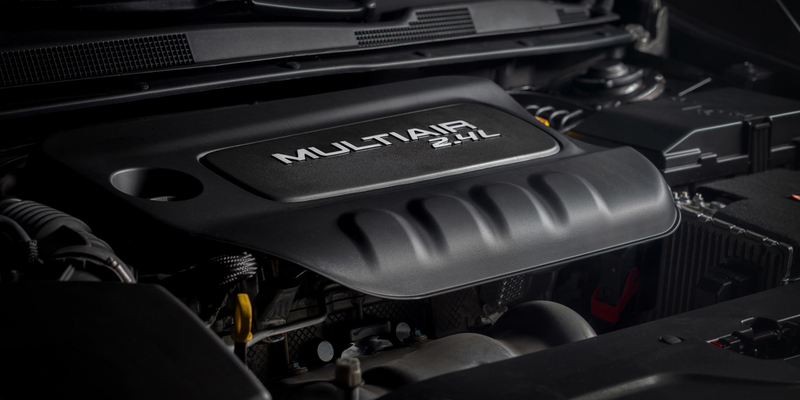 The 200’s base engine is a 184-horsepower 2.4-liter 4-cylinder mated to a segment-first 9-speed automatic. Also linked with the 9-speed is the uplevel engine, a 295-horsepower 3.6-liter V6—the most powerful in the segment. Trim levels include the base LX ($21,700), well-equipped Limited ($23,485), sport-themed S ($24,725), and luxury/performance C ($26,225). The new 200 is a bit smaller both inside and out than most midsize sedans, but it offers swoopy exterior styling and upscale interior trimmings that give it a luxurious ambiance for its class. 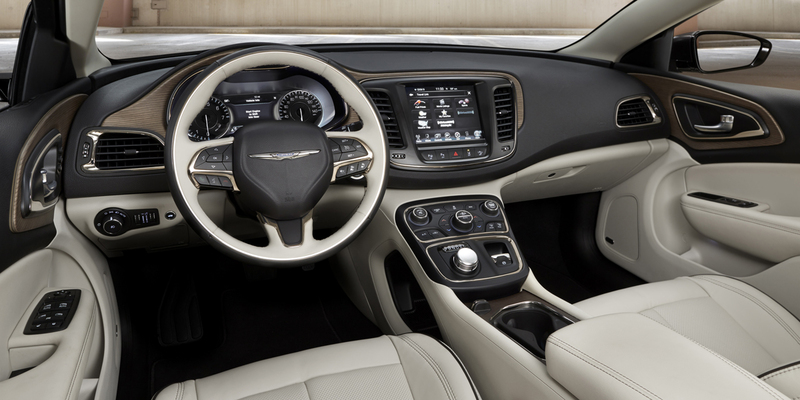 UConnect touchscreen multimedia system, adaptive cruise control with stop-and-go feature, remote start, lane-departure warning with lane-keep assist, cross-traffic alert, and the class-exclusive parallel and perpendicular park assist. The 200 now comes exclusively as a 4-door sedan; the previous 2-door convertible body style has been discontinued. 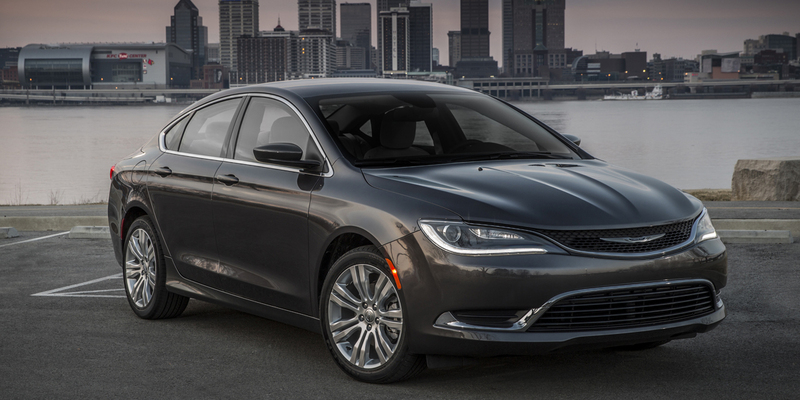 In Consumer Guide® testing, a Chrysler 200S all-wheel-drive V6 averaged 20.9 mpg in mostly city driving. EPA estimates for the 4-cylinder engine are 23 city/36 highway. The gutsy V6 is rated at 19/32 in front-wheel drive form and 18/29 with all-wheel drive. 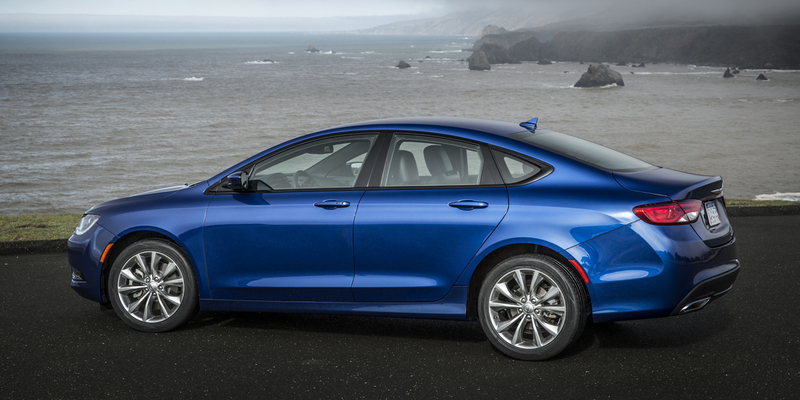 Though it’s still a bit of an unconventional choice in the midsize sedan class, the redesigned Chrysler 200 is a vast improvement over the car it replaces. Highlights of the new design include snappy acceleration from the V6 engine; a dynamic, convincingly luxurious interior with lots of clever small-items storage solutions; a good selection of available safety and comfort/convenience equipment; and surprisingly nimble handling on 200S models. It’s not as outright spacious as most midsize competitors, but the 200 has a unique upscale appeal all its own.